5 Simple Car Hacks for Mommies to Make Travelling with Kids Easier! Being able to ferry your kids around in the comfort of your own car can either be a fond memory of motherhood, or a total nightmare. We all know how tedious it is to be travelling with kids, from having to constantly nag at them for unbuckling their seat belts, to the recurring laments of 'are we there yet?' from the backseat. Their inquisitive and adventurous minds, tagged along with a short attention span makes it even harder to keep them entertained throughout the entire car ride. To help make car rides with kids more manageable, we have compiled five simple yet effective car hacks just for you! More often than not, we tend to find ourselves getting stuck in traffic jams not knowing when the traffic would clear up. During this period, it is helpful to have snacks readily available for the kids to munch on should they be hungry or restless. 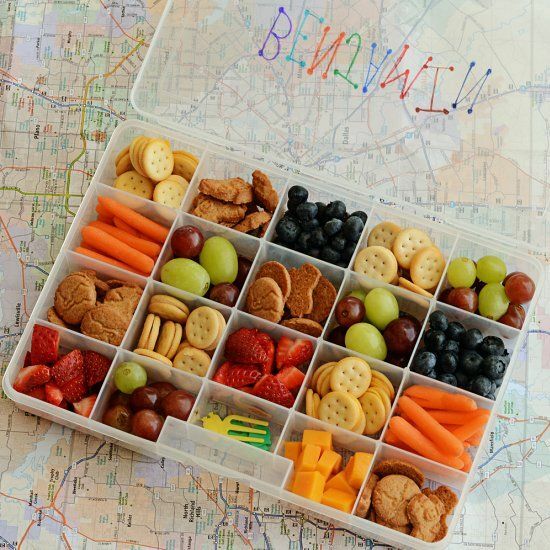 We suggest putting together a snack box consisting of healthy snacks such as nuts and dried fruits which are less perishable, to help avoid unnecessary tantrums from the little ones. We all know how kids are with eating. They get excited when there's food, and almost always end up making a mess whilst devouring whatever that's been given to them. To prevent a messy build-up of used tissues or rubbish, a tried and tested hack would be to use a plastic cereal dispenser as a makeshift rubbish bin. 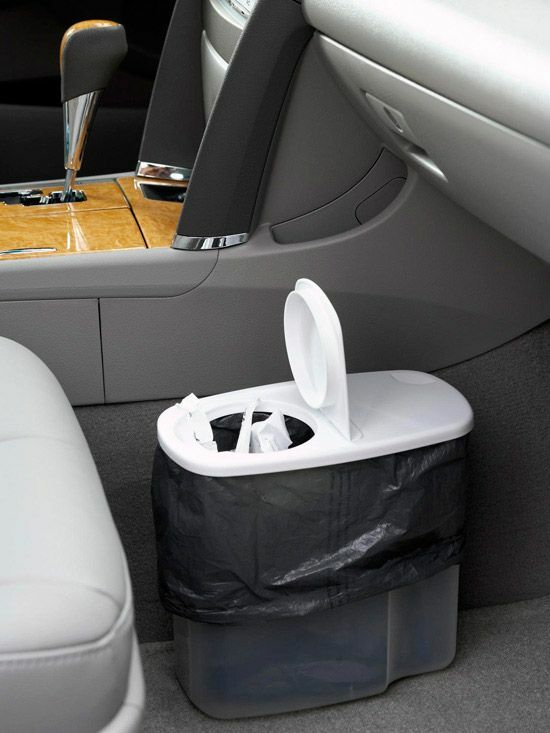 With its compact design, this makeshift rubbish bin can be placed by the side of the seat without hindering the movement of the driver or passenger. Here's a nifty car hack to put the minds of moms at ease. I'm sure we're all too familiar with kids having the urge to press anything and everything they can, things like the buckle to their seat belts. If you are travelling with an infant who requires a car seat, the chances of your older child accidentally unbuckling the car seat is rather high. 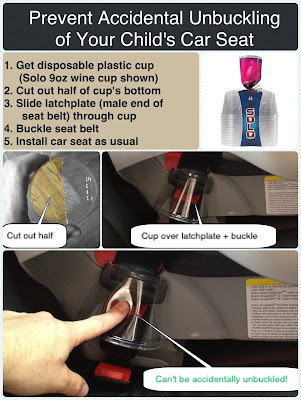 Using a disposable cup over your child's buckle is a quick and simple solution to that. Kids are the most unpredictable little creatures, you never know when they are going to hurt themselves whilst playing in the backseat. It is advisable to always have an emergency kit with band-aids and disinfectant in the car to aid in handling whatever situation you're in. This emergency kit does not need to be solely based on your child's needs, but can also cater to yours. Driving for long hours (on road trips) could result in dry and tired eyes, headaches etc., to combat this, you can include eye drops and painkillers in the emergency kit as well. You never know when you'll need a plastic bag, especially when travelling with kids. Instead of stuffing loads of plastic bags in the side compartment of your seat, try reusing an old tissue box to store them! This saves a lot more space by storing the bags compactly in the box, and provides for easier access without making a mess.